One day event on April 20th. Located in the Gearhead Bicycles Parking Lot in Pacifica California. Move in hours: 7:30 to 9:30 AM. Show hours: 10 AM to 4 PM. Booth space assignments are made at first come first serve basis. 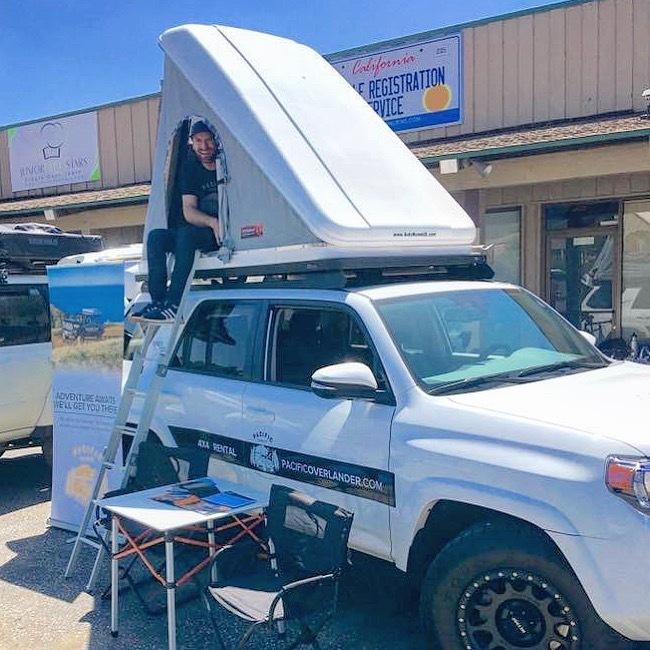 $30 for the initial 10′ x 15′ plus regular sized vehicles for individuals who are selling or trading new and used adventure gear, bikes and off road equipment and accessories. Extra 10’x15’s are $30 each. $60 for the initial 10′ x 15′ plus regular sized vehicles for a company selling or display your products or service.Extra 10’x15’s are $60 each. Booths do NOT come with any tables or chairs. Sharing booth space is encouraged. https://www.pacificoverlander.com at the 2018 Fog City Pop Up!